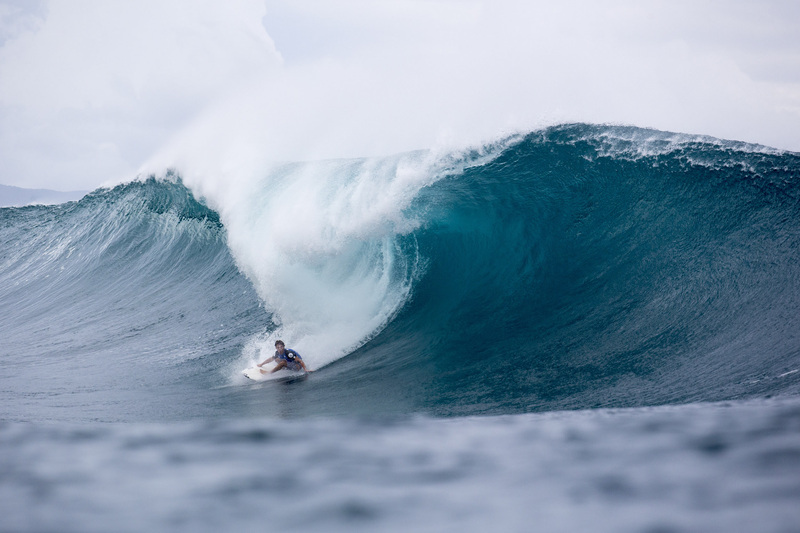 Haleiwa, North Shore, Oahu/HAWAII – (Sunday, February 4, 2018) – Josh Moniz, 21, claimed the Volcom Pipe Pro today in exceptional, all-time conditions at Pipeline after overcoming a stacked Final heat that included a perfect 10-point ride from former event winner and Pipe prodigy Jamie O’Brien (HAW). 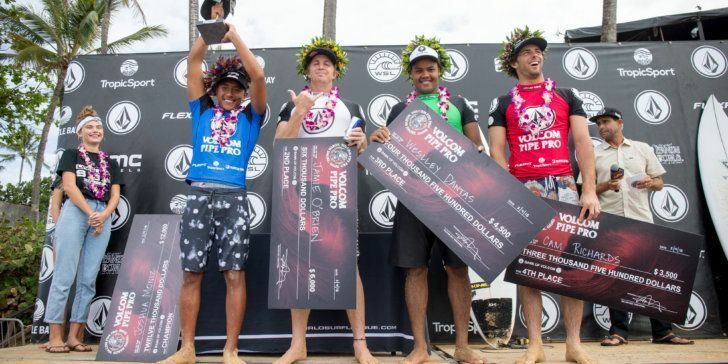 This marks the ninth event of the Volcom Pipe Pro history, a World Surf League (WSL) Qualifying Series (QS) 3,000 event, and Moniz takes the fifth win to join the elite list of warrior winners that also includes 2x World Champion John John Florence (HAW), 11x World Champion Kelly Slater (USA) and Australian Soli Bailey. 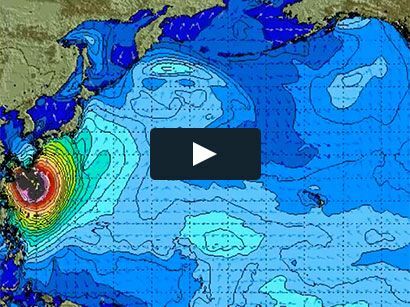 The WSL Hawaii/Tahiti Nui region will shift to the warm waters of Tahiti for the Rangiroa Pro Open, a Men’s QS1,000 from March 5 – 9, and the Papara Pro Open, a Men’s and Women’s QS1,000 and Men’s and Women’s Pro Junior from March 11 – 16, before returning again to Pipeline for the Pipe Pro Junior and Wahine Pipe Pro.